Jamie Dimon, JPMorgan's chief executive, completed his cancer treatment this week. Jamie Dimon has finished his cancer treatment and told a newspaper he feels fine as he begins the next phase of his recovery. The chief executive of JP Morgan (JPM), the largest U.S. bank by assets, announced in July that he had been diagnosed with curable throat cancer, saying his prognosis was "excellent." 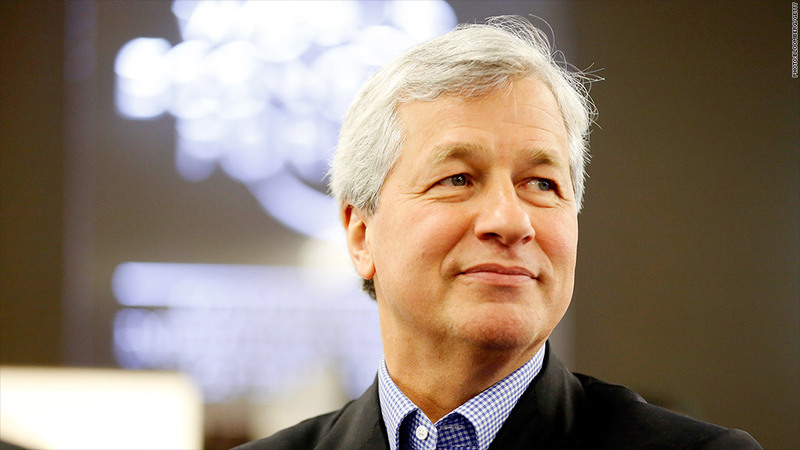 A spokesman for the bank confirmed Friday that Dimon completed his treatment earlier this week. In an interview with the Wall Street Journal, Dimon said he was feeling "fine" after about eight weeks of chemotherapy and radiation. "I took naps when I had to, went home early, and there were days when I was in treatment all day long," he told the newspaper. He said he has followed the advice he gives family, friends and employees to "take care of your health first." Dimon's doctors will continue to monitor his progress for the next few months to determine whether he is cancer free, sources told the Journal. Senior executives told the Journal that Dimon was surprisingly present at the bank during his treatment, though he was forced to miss a few important events. Dimon typically went to work on weekdays after receiving treatments at Memorial Sloan Kettering Cancer Center, about 30 blocks from JP Morgan's Park Avenue headquarters, according to the report. In July, he told analysts in a conference call that he felt "great" and planned to be "actively involved" at JPMorgan throughout his treatment. According to the Journal, Warren Buffett, head of Berkshire Hathaway (BRKA), advised Dimon to rest often and to pass the time during treatment by watching episodes of "Breaking Bad," the story of chemistry teacher Walter White who becomes a drug dealer after being diagnosed with cancer. Buffett, who received treatment for prostate cancer in 2012, has been known to impersonate Walter White. Dimon did what most people do when they get advice from Warren Buffett -- he took it.